Powering a transiver without external antenna? Hi quick question. 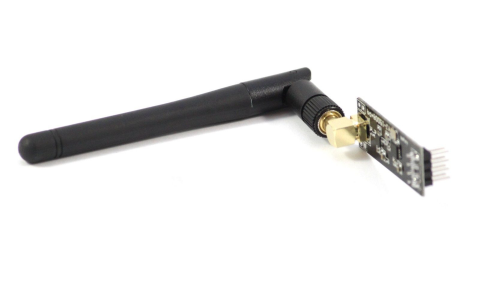 Is it dangerous to power a transiver like the one in the picture with external antenna when the antenna is removed? I have solderd the transiver to the arduino and need to program the arduino but I dont have the antenne here. I belive that in some cases you can fry the transiver. What do you think? @popunonkok just powering it will not brake it, but I wouldn't try transmitting with it. If you flash a mysensors sketch in it and start it, it will start transmitting immediately, so be careful! But dosent it start the sketch directly after I flash it? Depends on how you flash it, I guess. Your original question was: "Is it dangerous to power a transiver like the one in the picture with external antenna when the antenna is removed?" so I tried to answer that. Yes I understand. I'm not criticising your answer. But I guess that means that I cant program it at the moment. Because that would mean the transiver would start transmitting directly. Hmmm... Unless I start with a 5-10 sec delay. It is a temperatur sensor sketch. I could probably code a 10 sec delay in the void setup() section. It would be an ugly solution but probably would work. @popunonkok - unless you connect a normal radio to test.